Rush The Court is back with another edition of One on One: An Interview Series, which we will bring you periodically throughout the offseason. If you have any specific interview requests or want us to interview you, shoot us an email at rushthecourt@yahoo.com. With the NBA Draft taking place Thursday night, we thought it would be a good idea to get some input from an expert. RTC Correspondent Walker Carey (@walkerRcarey) recently had the please of speaking with NBA Draft Analyst Ed Isaacson, the founder of NBADraftBlog.com. You can follow Isaacson on Twitter via @nbadraftblog. Rush the Court: Joel Embiid’s back (and now foot) injuries are the hot topics leading up to Thursday’s NBA Draft. How badly do you see this impacting Embiid’s stock and how would you approach these legitimate concerns if you were a team picking early in the draft? Ed Isaacson: I do not think Embiid’s drop is going to be as drastic as Jared Sullinger’s (Note: Sullinger was medically flagged due to back issues) was in 2012 when he went from being a top six guy to being the 21st pick. My basic thought is that there is no way Embiid makes it beyond the Lakers at seven – if he happens to still be around then. If you are a general manager who is already on board with taking the risk with Embiid – he had a back problem in high school and had it again at Kansas – is the stress fracture in the foot suddenly going to be the thing that dissuades you from picking him? Once there is more information regarding the surgery and the timetable for his recovery, I think that will alleviate some concerns. I still believe Joel Embiid will be a top four pick. 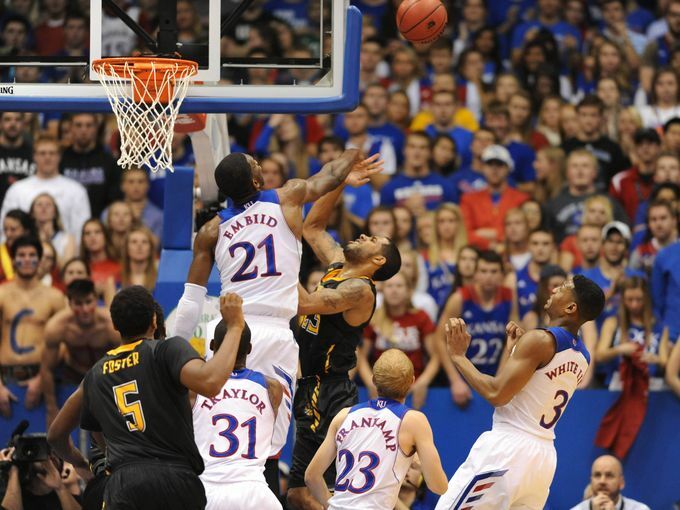 RTC: Andrew Wiggins entered college with a ridiculous amount of hype. He was a very good player at Kansas, but it would be tough to say that he was a superstar. Do you believe his year in Lawrence negatively impacted his pro prospects and where do you see him ending up Thursday evening? Isaacson: He is still the number one prospect to me. Even when Embiid was healthy, I had more value in Andrew Wiggins. One year in college is extremely tough to gauge a player and the Kansas system is much more different than at other schools. The main concern with Wiggins is the question if he is too passive on the court. The exact same thing was brought up last year in regards to Ben McLemore. I am not concerned. He is still a 19-year-old kid and I think he is going to be an All-Star. I have had him at number one throughout the process and I really think he is the best fit for Cleveland. Is Kyle “Slo-Mo” Anderson Fast Enough For The NBA Game? Overview: UCLA may be losing one of the most unique talents to grace the college hardwoods this millennium, but the Bruins’ loss is the 2014 NBA Draft’s gain, as Kyle Anderson has simultaneously become one of the most intriguing and confounding prospects of this or any draft. Long and rangy 6’9″ point guards don’t grow on trees, particularly ones who led their teams to the Sweet Sixteen and posted per game averages of 14.6 points, 8.8 rebounds, and 6.5 assists last season. Along the way, Anderson became the first Pac-12 player to compile 200 assists and 200 rebounds in a season — just one of many statistical firsts that this freakishly versatile sophomore recorded in 2013-14. 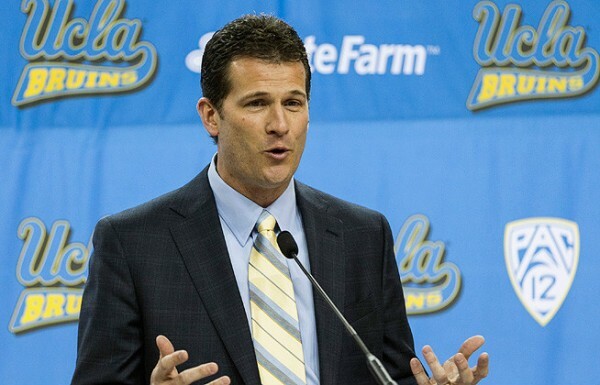 New head man Steve Alford’s decision to let Anderson run his team’s point — he wasn’t offered that opportunity during a statistically pedestrian freshman season — paid almost immediate dividends, as Anderson fueled an up-tempo Bruins offense that quickly staked its claim among the nation’s best (they finished 13th nationally in offensive efficiency). A pair of potential first-rounders in this year’s draft (Zach LaVine and Jordan Adams), among others, joined Anderson in breaking the chains off the stagnancy of the Ben Howland era, but no player deserves more credit for that than Anderson. Aside from an unusually high turnover rate (20.2%) and occasionally soft one-on-one defense, Anderson offered positive contributions in nearly every area on the floor. He shot 48 percent from both two and three-point ranges, 73 percent from the line, and chipped in defensively with a combined 2.6 blocks and steals per contest. Below average athleticism (they call him “Slo-Mo” for a reason) and an uncertain role at the next level has the former UCLA guard grading out as a late first-rounder right now, but Kyle Anderson is as distinctive an NBA prospect as you will ever encounter. With Sunday night’s early-entry deadline come and gone, programs have now gotten past one potential source of damage to their rosters. Kids can still announce their transfers or get in trouble or get hurt, so the names on these rosters can still remain in a state of flux, but below we’ll discuss the winners and losers in the conference after the going pro pothole has passed. Arizona – It’s not often that you can call a team that lost two players to early entry a winner, but the fact is, the Wildcats lose Aaron Gordon and Nick Johnson, but guys like Rondae Hollis-Jefferson, Kaleb Tarczewski and Brandon Ashley passed on the temptation of the NBA to return for another year in the desert. Of the two who left, there was little surprise, as Gordon is a sure-fire lottery pick while Johnson played well enough this season to probably maximize his attractiveness to NBA scouts (he’s projected as a second-rounder). Meanwhile, Hollis-Jefferson in particular was a serious threat to leave early, with a likely first-round selection awaiting. However, with his return to Tucson, he’ll have a chance to not only improve his draft stock, but also keep the Wildcats near the top of the national conversation. Oregon – Joseph Young considered forgoing his final season of eligibility for a run at the NBA dream, but the 6’3” shooter likely got word back from scouts to return to school, work on his ballhandling and start playing some defense. As a result, Young will again be a part of what should be a high-flying Duck offense and have a chance to legitimately work himself into NBA Draft consideration next season. Over the next couple of weeks, we’ll go through each Pac-12 team one by one and recount the season that has just completed and begin to turn the page to what we might see next season. Today, UCLA. Although it took some time to get there, this Bruins team coalesced nicely as the season wore on. Kyle Anderson turned into an All-American talent while the pieces around him were, by and large, rock solid. Team chemistry was light years better than under the previous administration, and eventually Steve Alford’s first team in Westwood won over a wary fan base. While a Sweet Sixteen appearance is not going to earn accolades from the most jaded fans, the first year of the Alford era was definitely a step forward for the program. Honestly, for this program and with this team, a loss in the Sweet Sixteen to a #1 seed isn’t exactly an underachievement. Sure, maybe a better performance by the Bruins’ frontcourt against Florida could have extended their season, and maybe Alford made some substitution errors in dealing with some minor foul trouble in that game. Certainly there were some defensive breakdowns too (how does Michael Frazier get that wide open that often?). 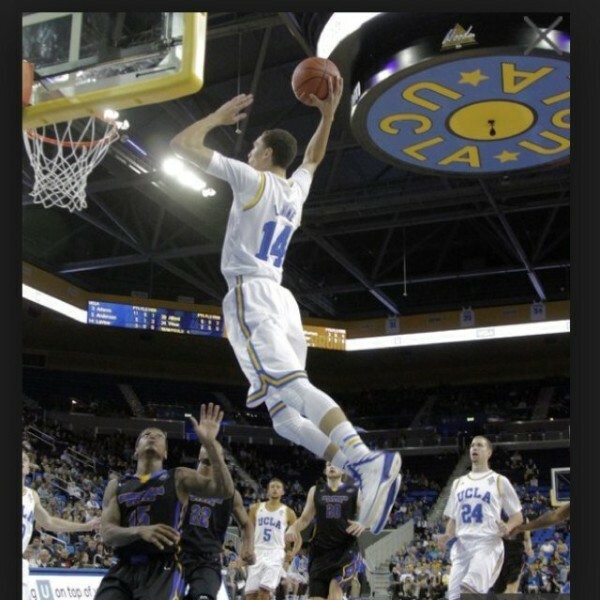 But all told, Alford got about what he should have gotten out of this season’s UCLA club. There were a few NBA Draft announcements yesterday, but nothing that was particularly surprising. Jahii Carson made it official that he would be declaring for the NBA Draft, but that was hardly a surprise as he said he would be doing so before the start of the season and never backed off that statement. The other big announcements also came from the Pac-12 where Kyle Anderson and Zach Levine declared for the draft. Anderson is considered a borderline lottery pick while Carson and Levine are closer to fringe first round picks. Carson is probably about where he would be in a year as a prospect, but Levine has significant upside so it is a little surprising to see him leave so soon particularly without what we would consider a legitimate guarantee of being a first round pick. On the other side, A.J. Hammons announced that he will be returning to Purdue for his his junior season. Hammons averaged 10.8 points, 7.4 rebounds, and 3.1 blocks last season and with his size had a chance to be a late first round pick. Fortunately for Matt Painter and Boilermaker fans he will be back in West Lafayette next season. The Andy Enfield experiment is not going as planned at USC. After coming to LA off the high of the Dunk City experience, Enfield made sure to let everybody know how great he was then followed it up with a 11-21 record including a putrid 2-16 in the Pac-12. It does not appear that next season will be much easier as Byron Wesley, the team’s best player last season, announced that he planned to graduate from USC this summer and transfer for his final year of eligibility. If he does graduate, Wesley would be available to play immediately with a graduate student waiver and would be among the most sought-after transfers on the market as it is pretty rare to find a guy who averaged 17.8 points (47% FG), 6.4 rebounds, and 2.3 assists per game on the market. Jim Christian’s challenge of turning around Boston College got significantly easier as Olivier Hanlan announced that he would be back next season. With Ryan Anderson already transferring, Hanlan’s announcement is even more important. Hanlan averaged 18.5 points, 3.4 rebounds, and 2.9 assists last season so he will be the focal point of the Eagles’ offense and with the the lack of support he will have opposing teams will be tailoring their defenses to stop him. Still next season should be a rough one for Christian as he takes over a team that went 8-24 last season and have lost a significant pieces from that team. One of the more confusing aspects of the early entry system is the myriad of deadlines from both the NCAA and NBA (DraftExpress had a good explanation here). Both sided have pointed fingers at the other when asked about the issue of early entry and the age restriction. As John Infante notes the NCAA would be wise to take control of this issue before the NBA decides for them. As usual Infante offers a logical argument although we are not sure that the NCAA will follow his advice because as we all know the NCAA doesn’t always follow logic when making its decisions. And finally today we give you a somewhat surprising draft announcement… for the NFL. Miami forward Erik Swope announced that he will be entering the NFL Draft. Swope averaged 5 points and 2.7 rebounds last season so he was at best an overseas player so going the NFL route makes the most sense although the timing of his announcement (just a few weeks before the NFL Draft) seems a little strange. With the success of former basketball players in the NFL we are surprised that more marginal basketball players don’t go this route. Compiling preseason All-America teams is a difficult task because nobody knows what is going to occur during the season. There will always be players who will fail to live up to expectations and there will always be under the radar types who will unexpectedly emerge to stardom. When our group of eight RTC pollsters selected their preseason All-America teams back in November, nobody could have guessed that only six of the 15 names on that list would live up to the hype: Creighton’s Doug McDermott, Louisville’s Russ Smith, Kansas’ Andrew Wiggins, Duke’s Jabari Parker, Connecticut’s Shabazz Napier, and Kentucky’s Julius Randle. The only two players that were projected to to be a first team All-America and finished there were McDermott and Smith (actually, we recognized at the time that a 33 percent accuracy rate was the AP’s historical norm, so we did a little better than that). The nine players we selected as preseason All-Americans who did not make our team — Oklahoma State’s Marcus Smart, Michigan State’s Gary Harris, Ohio State’s Aaron Craft, Michigan’s Mitch McGary (spent much of the year injured), Arizona State’s Jahii Carson, Arizona’s Aaron Gordon, Syracuse’s C.J. Fair, Michigan State’s Adreian Payne, and Virginia’s Joe Harris — all had exceptional seasons, but they were surpassed in achievements by the names that rose to the top of our list. Here are the 2013-14 RTC All-America Teams. Note on methodology: voters took postseason performance to date into consideration. Players earned three points for a First Team vote, two points for a Second Team vote, and one point for a Third Team vote. McDermott and Napier were the only two consensus First Team All-America selections. Coming tomorrow: The RTC Coach of the Year. Doug McDermott, Senior, Creighton (consensus) (26.7 PPG, 7.0 RPG, 52.6% FG, 44.9% 3FG). McDermott was the most prolific and talented offensive player in the country in a season that wrapped up his marvelous collegiate career. The senior led the country in scoring and his brilliant play was the biggest reason why Creighton finished the season with a sterling 27-8 record. The brilliance of “Dougie McBuckets” saw him reach several amazing career milestones this year. His career-high 45 points in March 8’s Senior Night victory over Providence put him over the 3,000-point barrier, and he wound up finishing with 3,150 points, good for fifth on the all-time scoring list. There have been few players like Doug McDermott in college basketball history, and there will be few like him in the future. He was an amazingly unique talent that we were all privileged to watch play ball for the last four years. Shabazz Napier, Senior, Connecticut (consensus) (18.1 PPG, 4.9 APG, 5.9 RPG, 1.7 SPG). You can make an argument that no player has meant more to his team this season than Napier has meant to Connecticut. The Huskies improbably took home the East Region title and are headed to the Final Four, thanks in large part to the heroics of Napier. After a sensational regular season where the guard took home the AAC Player of the Year award, he has only elevated his play in the postseason. In the Huskies’ four NCAA Tournament victories, Napier is averaging 23.3 points per contest and has displayed his flare for the dramatic by hitting several important shots when his team needed them most. Connecticut won a national title in 2011 mostly due to the brilliance of then-point guard and NPOY Kemba Walker. If the Huskies are able to replicate that feat this season, it will be mostly due to the brilliance of Napier. Jabari Parker, Freshman, Duke (22) (19.1 PPG, 8.7 RPG, 1.2 BPG, 47.3% FG). In a season when many freshmen around the country received a great deal of preseason hype, no other freshman lived up to the lofty expectations quite like Parker. The USBWA National Freshman of the Year became the first Duke freshman to earn consensus first-team All-America honors with selections to the AP and Wooden All-America teams. It is widely expected that Parker will enter the 2014 NBA Draft after just one season in Durham, and even though his Duke career did not include an NCAA Tournament victory, Parker’s terrific season will not soon be forgotten. Russ Smith, Senior, Louisville (22) (18.2 PPG, 4.6 APG, 2.0 SPG, 46.8% FG). “Russdiculous” entered the season with high expectations and he more than lived up them by leading Louisville to another terrific campaign. After an excellent junior season, Smith only improved as a senior. Known for erratic decision-making much earlier in his career, the talented guard reinvented himself during his senior season. Smith improved his field goal percentage from by five percentage points and his three-point percentage from by six points. That brilliance led a spot as Louisville’s first consensus All-American since Clifford Rozier in the 1993-94 season. Sean Kilpatrick, Senior, Cincinnati (19) (20.6 PPG, 4.3 RPG, 42.3% FG, 84.5% FT). Kilpatrick finished his outstanding collegiate career with legendary Cincinnati status, as he joined NBA Hall of Famer Oscar Robertson as the only two Bearcats to top 2,000 career points. Along with joining Robertson in the Cincinnati record books, Kilpatrick also became the program’s all-time leader in games (140) and career minutes played (4,315). The elevation in Kilpatrick’s play as a senior also meant great things for an overachieving Cincinnati squad that was the co-AAC champion and was ranked #15 in the final AP poll. Six NCAA Tournament teams, three Sweet Sixteen seasons, one Elite Eight appearance and yet when the final quartet of teams still standing show up at the Final Four next weekend in North Texas, there will not be a Pac-12 team among them. This will now mark the sixth consecutive season (dating back to the last of UCLA’s three straight last decade) where college basketball’s premier weekend will dance away without a Pac-12 partner. So, yeah, Pac-12 fans, in a year where the hope was that the Pac was back, you’re right to feel some disappointment. Worse yet, along with outgoing seniors like Roberto Nelson and Justin Cobbs and Mike Moser and C.J. Wilcox, the conference has also seen the last of guys like Kyle Anderson and Aaron Gordon and Jahii Carson and Zach LaVine with guys like Nick Johnson, Jordan Adams, Joseph Young, and Rondae Hollis-Jefferson still weighing their options. But you know what? These are good things. It hurts to see guys like these go, but such is the nature of the beast. 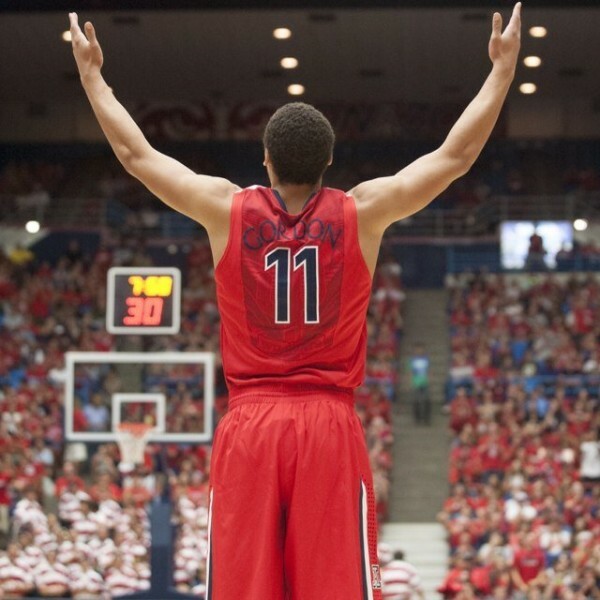 And in the long run, a program like Arizona providing an appealing and welcoming temporary landing spot for a player the caliber of Gordon will make it more likely that future Aaron Gordons will wind up playing for Sean Miller as well. And, in the great circle of life that is college athletics, out goes Gordon, in comes Stanley Johnson; rinse and repeat. Below, three quick thoughts on the status of the three Pac-12 schools whose seasons ended this past weekend in the NCAA Tournament. 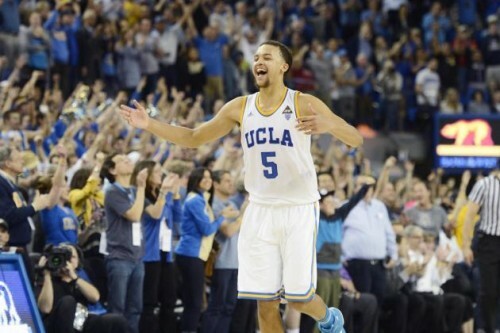 Not only did UCLA fall to Florida on Thursday night, but Friday morning the news broke that freshman guard Zach LaVine would be joining sophomore point guard Kyle Anderson in leaving school early. Anderson was a lock to leave all along, as he had a spectacular season and is in the discussion for a lottery pick in this June’s NBA Draft. LaVine, however, was more of a borderline case. He’s clearly not ready to make an immediate impact in the NBA, but his length, athleticism and deep shooting range have intrigued scouts since November when he made a big splash early in the season. He’ll need to get stronger, develop a game off the bounce, and improve his defense, and these things will likely require time in the NBA’s Developmental League. But you can bet that LaVine’s upside will earn the attention of somebody at some point in the first round of this year’s draft, meaning a guaranteed contract and time to develop. Sure, selfishly, we would have liked to see LaVine’s high-flying game take the next step at the collegiate level, but that became a pipe dream over the course of the year. LaVine’s departure leaves some big questions for UCLA. First, with Anderson and LaVine both gone and with Jordan Adams potentially mulling a similar jump to the NBA, a deep and impactful Bruins backcourt could turn into a weakness next season. Norman Powell will be back for his senior season, and he’s definitely developed into a fine asset for UCLA. Bryce Alford appears to be the point guard in waiting, and he’s a fine player with plenty of upside even if he appears further and further from winning over the UCLA fan base with every game. And four-star combo guard Isaac Hamilton will be eligible next season and figures to have the ball in his hands a lot. Even if Adams doesn’t return, that group of three is solid, even if the Bruins will likely need to go sign another guard for depth. But clearly, the strength of the team will need to shift to the frontcourt, where Tony Parker will return for his junior season and be joined by four incoming freshmen, highlighted by five-star power forward Kevon Looney and a pair of four-star bigs (Thomas Welsh and Jonah Bolden). It was a year ago this week that the change was made at UCLA. Ben Howland was dismissed after an opening round NCAA loss to Minnesota, and the following week, on Saturday morning of the Elite Eight to be precise, UCLA announced that it would hire New Mexico head coach Steve Alford – who had just recently agreed to a lengthy contract extension with that school after its own untimely exit from the NCAA Tournament – as the 13th head coach in the storied program’s history. 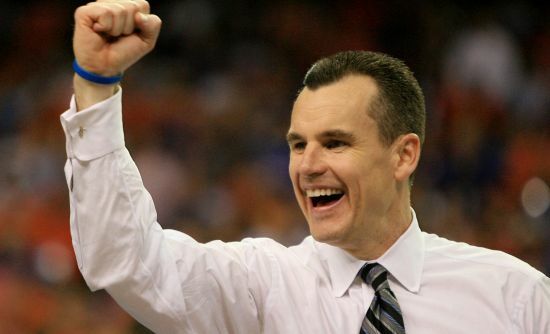 Suffice it to say that the beginning of the Alford era in Westwood did not begin smoothly. The hire was greeted with anywhere from an outright disdain for the choice to a more wait-and-see approach, but few if any saw the hire as a home run. (Here, we called it a solid line-drive single, and our response was probably one of the more favorable ones you may have read). From those initial reactions, the temperature dipped dramatically over the next week after an unreceptive opening press conference delved into his handling of a sexual assault case at Iowa 11 years earlier and went downhill from there. A week later Alford finally apologized for his handling of that case and an uneasy truce with the local media began. Bennet Hayes (@hoopstraveler) is the NCAA Tournament’s South Region correspondent, which begins Thursday night at FedEx Forum in Memphis with Dayton vs. Stanford followed by UCLA vs. Florida. Look out for the West Regional Reset later today and the East and Midwest Resets tomorrow. Make sure to also follow @RTCSouthRegion for news and analysis from Memphis throughout the week. New Favorite: #1 Florida. Nothing has changed on this front. The Gators looked as overwhelming as ever in their third round defeat of Pittsburgh, and with only one other top-nine seed remaining in the region, the NCAA Tournament’s #1 overall seed is in fantastic shape to make its way to Dallas. The Sweet Sixteen match-up with UCLA won’t be easy, but more on that later – the Gators are still the South region’s clear favorite. Horse of Darkness: #11 Dayton. This quadrant offered plenty of candidates for the honor, but with apologies to Stephen F. Austin (only one win) and Stanford (too familiar a brand), the Dayton Flyers advancing to their first Sweet Sixteen since 1984 makes for the South Region’s best Cinderella story. We make loyal Flyer fans pretend like the First Four is a big deal annually – and their love of basketball prevents them from failing in this pursuit – so it’s only fair that they finally get something to cheer about from their own team. On February 1, Archie Miller’s club (1-5 in the Atlantic 10 at the time) wasn’t even one of the top eight teams in their own conference, but after a late-season surge and this unexpected Tourney run, the Flyers will play on Thursday for a chance to be one of the final eight teams left standing in all of college basketball. What. A. Turnaround.